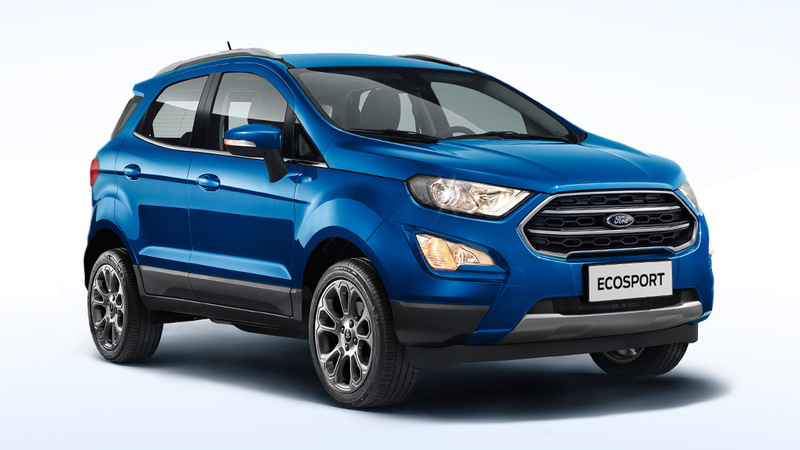 First introduced here in early 2014, the EcoSport became an instant successs for Ford Philippines, it was also the model that help start the local subcompact SUV segment. For 2018 the popular Ford EcoSport subcompact SUV received a major refresh. Up front it gets a the new Ford family face with a higher-mounted trapezoidal grille flanked by larger twin-chamber headlights and a reshaped fascia. New wheel options complete the exterior makeover. At the back it gets larger rear bumpers and a new spare tire case. Inside it gets an all-new dashboard with a full gauge cluster and a large floating infotainment screen.There are two gasoline powerplants offered, a 1.5-liter Ti-VCT inline-3 Dragon mill which produces 121hp and 150Nm of torque and a 1.0-liter turbocharged inline-3 EcoBoost unit which makes 123hp and 170Nm of torque. The Dragon motor can be mated to either a 5-speed manual transmission or a 6-speed automatic transmission, the boosted engine is exclusively paired to a 6-speed auto.